A battle between Android(s goog) flagships phones began in earnest this week as HTC launched the HTC One M8 just a few weeks after the Samsung Galaxy S5 was introduced. Both handsets use very similar internal components but the software and exteriors are very different. So which is better? There are pros and cons with each based on my colleague Alex Colon’s hands-on time with both phones. For starters, the HTC One M8 offers 32 GB of internal storage for $199 while the Samsung Galaxy S5 with the same capacity costs $249. However, both offer a microSD expansion card slot for additional storage space, so that may not matter to some. 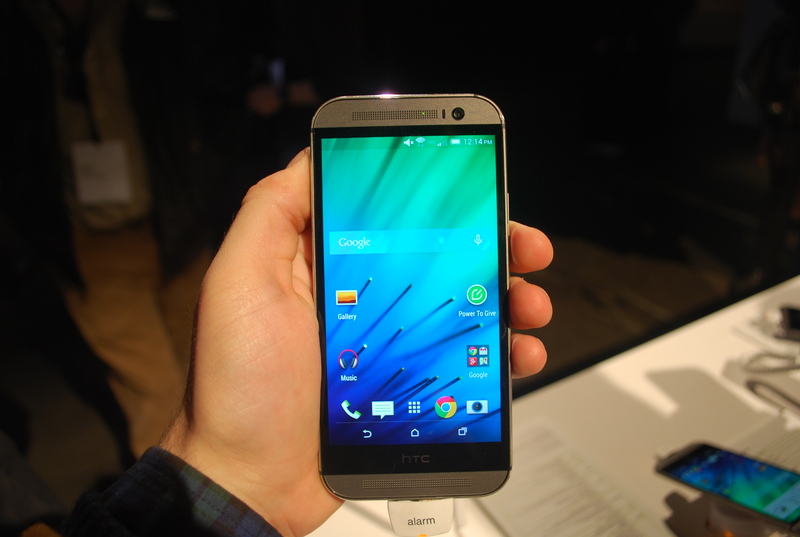 It’s worth noting that this year’s HTC One M8 is the first flagship from HTC with a memory slot in some time, so clearly, the company is listening to consumer wants. Both phones use a Qualcomm(s qcom) Snapdragon 801 processor, which brings several benefits over last year’s chip including faster image processing and support for the company’s Quick Charge 2.0 feature for up to 75 percent faster charging. One small difference is that the HTC One M8 chip is clocked at 2.3 GHz while the Samsung Galaxy S5 runs at 2.5 GHz. 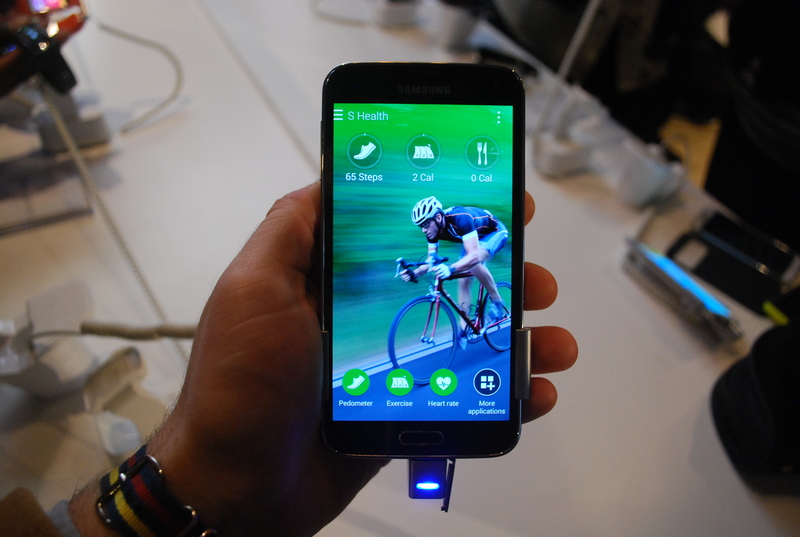 Is that an advantage for the Samsung? Perhaps but you likely won’t notice as both phones run Android smoothly. The biggest difference between the two handsets is likely in the camera sensors. HTC kept last year’s 4 megapixel “Ultrapixel” technology for the rear camera while Samsung’s sensor captures smaller pixels but more of them with a 16 megapixel camera. HTC did add a second rear sensor to capture depth information for tweaking the focal point of photos after they’re taken but Samsung’s camera can do the same solely with software. We’ll have more to say about each of these Android 4.4.2 phones in the near future but for now, your choice may depend on how much you use your phone’s camera, how you use it and if you prefer a metal phone body over a plastic one. Since these are new phones, they’ll likely have available Android updates for at least the next 18 to 24 months. And on June 24 and 25 we should hear more about what features might in those updates as that’s when the 2014 Google I/O developer event takes place. Google I/O typically sells out in minutes so this year, Google is trying a new approach: Random applicants will be chosen for tickets. If you’re interested in going, you’ll need to register for the lottery between April 8 and 10. 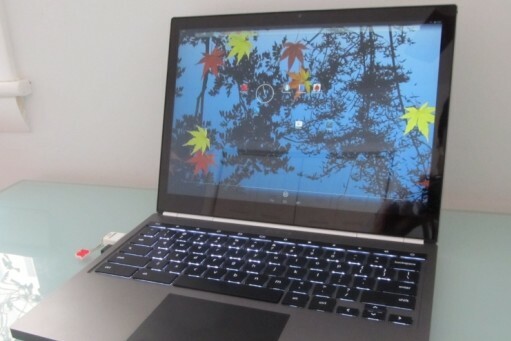 Between now and then, however, I plan to get Android 4.4.2 running on a new device: A Chromebook! The venerable Android-x86 project now supports the latest version of Android and the Chromebook Pixel is one of the supported devices. After booting into Android, the Pixel’s touchscreen can be used like an Android tablet, only with the added benefit of having a keyboard for input. Others have already installed Android on their Pixel and I’m looking forward to trying it myself. Oh ho big fight between HTC and Samsung and Now HTC will not win because of its poor marketing and pricing strategy. Luke, I appreciate the feedback. This was a summary. There’s a link to a full comparison we did earlier in the week that offers more details. 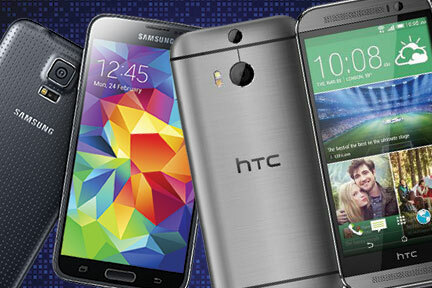 There are two advantages that the HTC has over the Samsung that you did not really discuss. For me, these are the reasons that I will be buying the HTC in the next few months. The sound quality on the HTC is much better than on the Samsung. This is very helpful when talking on the phone; watching videos; and using the speaker phone. It also allows for a much louder ring. The screen on the HTC works much better outdoors than the Samsung’s screen. There are advantages that the Samsung has over the HTC. It all comes down to what’s important to you.